On this episode, Laura discusses several royal scandals. She starts off with the recent Swedish Royal Academy scandal that forced the cancellation of this year's Nobel Prize in Literature. Then, she discusses the Countess of Wessex's scandal from 2001. Finally, she discusses the many scandals of The Duke of York. The Telegraph article she mentioned can be seen here. As always, you can subscribe to the podcast here on iTunes, Google Play, and Stitcher. Please leave a review for the podcast if you are so inclined. As Laura mentioned on the show, the summer schedule may be a bit different as royals take their holidays and because of Laura's busy schedule. As it is the wedding anniversary of Will and Kate, we are going to look back at the wedding gowns (and outfit for her arrival at the Goring Hotel on April 28, 2011) she wore for the beautiful ceremony at Westminster Abbey and reception at Buckingham Palace. Happy anniversary to the happy couple and proud parents of three! Kate's much talked about wedding gown was by Sarah Burton for Alexander McQueen and gave nods back to the wedding gown of Grace Kelly to Prince Rainier of Monaco in the 1950s. It featured a lace top with a v-neck and long sleeves. She wore the Cartier Halo Tiara with her gown. The train was 110 inches long. Her white shoes with lace were also Alexander McQueen. She wore a pair of diamond earring featuring acorns (which is on her family crest) by Robinson Pelham. They were bought by her parents as a gift. For the evening reception she wore another creation by the same designer that was strapless and featured jewels around the middle of the waist. 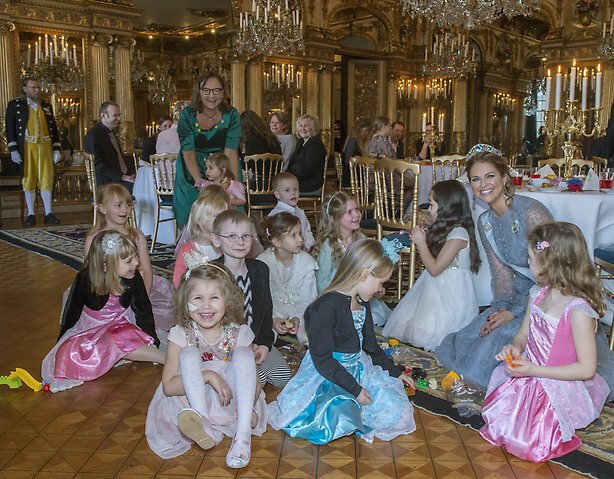 The wedding featured guests from politics, music, Hollywood and foreign royals. 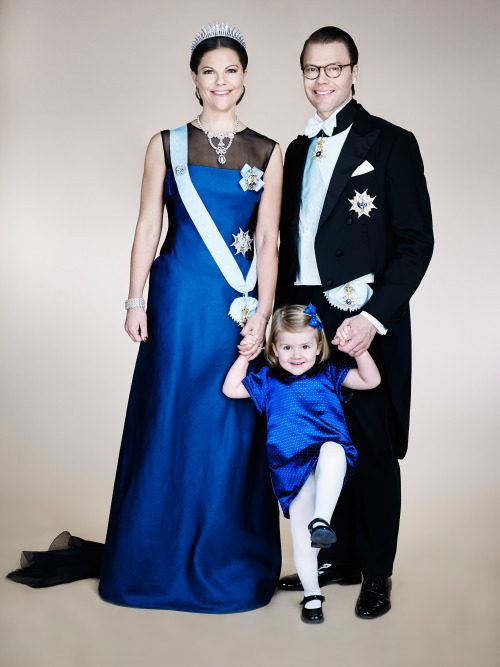 You can read our piece about the outfits of their royal guests in our earlier post this morning! 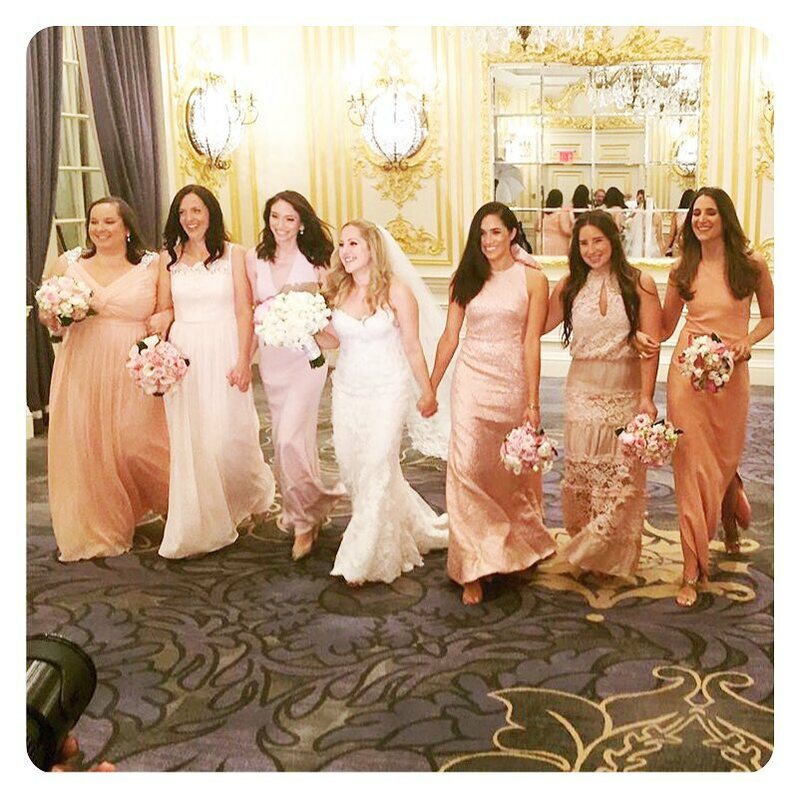 The bridal party included Kate's sister, Pippa Middleton as Maid of Honor and bridesmaids: Lady Louise (William's first cousin), Margarita Armstrong-Jones (cousin of William), Grace van Cutsem (daughter of a friend of the couple), Eliza Lopes (William's step-niece), William Lowther-Pinkerton (William's Private Secretary's son), and Tom Pettifer (son of William and Harry's former nanny). 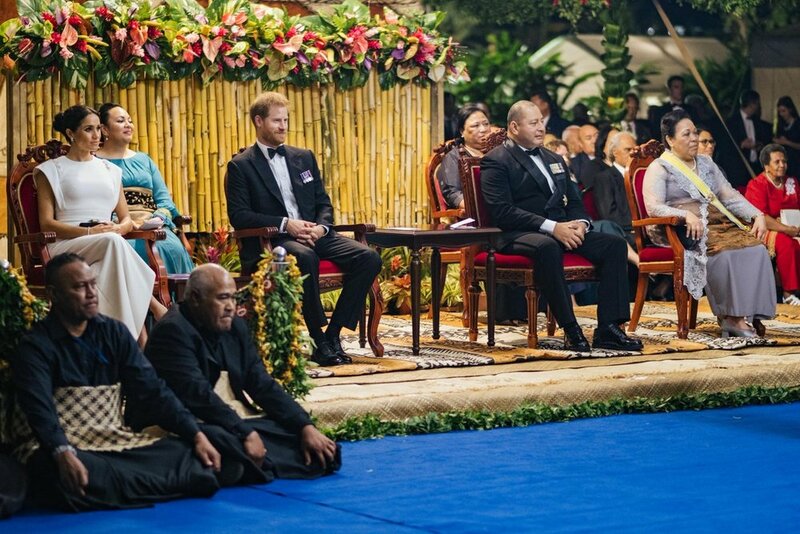 Prince Harry served as William's Best Man. The wedding was at 11 am local time, and Kate chose to arrive in a car rather than a carriage. Her father, Michael Middleton walked her down the aisle. The bride chose not to promise to obey in her wedding vows, as Diana had done 30 years before. 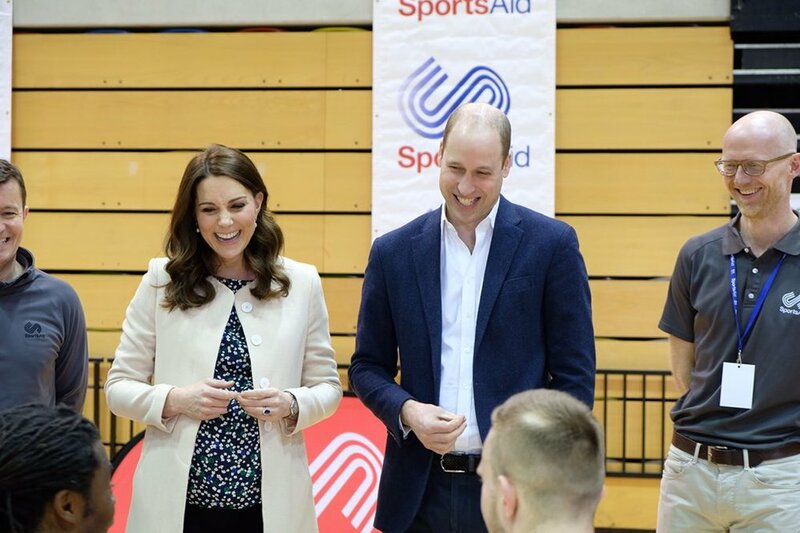 Prince William also chose to not wear a ring. The Archbishop of Canterbury presided over the ceremony. The Queen named them the Duke and Duchess of Cambridge upon their wedding. The night before her wedding, Kate arrived with her family (parents: Michael and Carole) and siblings (Pippa and James) to the Goring Hotel where she would spend her final night as a single woman. Media was there to greet them as they arrive and a large crowd. Kate was in a black dress with white designs by Issa and matching black wedges by LK Bennett. She wore a cream jacket by BCBG, as well. In our final installment, we take a look at the Duchess of Cambridge's outfits for the remaining day of her first Canadian tour in 2011. On July 5, Kate wore her J Brand skinny jeans again with a tan Burberry long-sleeved shirt and her Sebago flats for part their time in Yellowknife in the Northwest Territories. She also wore a cream dress by Malene Birger with her trusty LK Bennett pumps. They spent their day learning about Aboriginal traditions and activities and attended a ceremony to highlight cooperation between the natives and other cultures. They also attended a session for the Youth Parliament and a street hockey game where William took a couple of shots that were stopped by the goalie. The next day saw Her Royal Highness in a repeat of the jeans and blazer worn earlier in the tour with a Malene Birger blouse. She was in navy slingback wedges from Pied-A-Terre. That day was spent in Alberta where Their Royal Highnesses toured Slave Lake (a town that had recently been ravaged by wildfires) on what was supposed to be their day off. July 7th in Calgary saw Kate meet with a young cancer patient as part of Make-a-Wish. The little girl's dream was to meet Kate, and she greeted her with a big hug. Kate was in a yellow silk Jenny Packham dress. Later that day, she and William wore their white cowboy hats they had been given upon their arrival for the Calgary Stampede. She was also in GoldSign bootcut jeans, white Alice Temperley blouse and Butler and Wilson belt. They attended on the 8th too with Kate in the same outfit with a solid white Temperley blouse. The couple then left Canada in an official ceremony for Los Angeles. 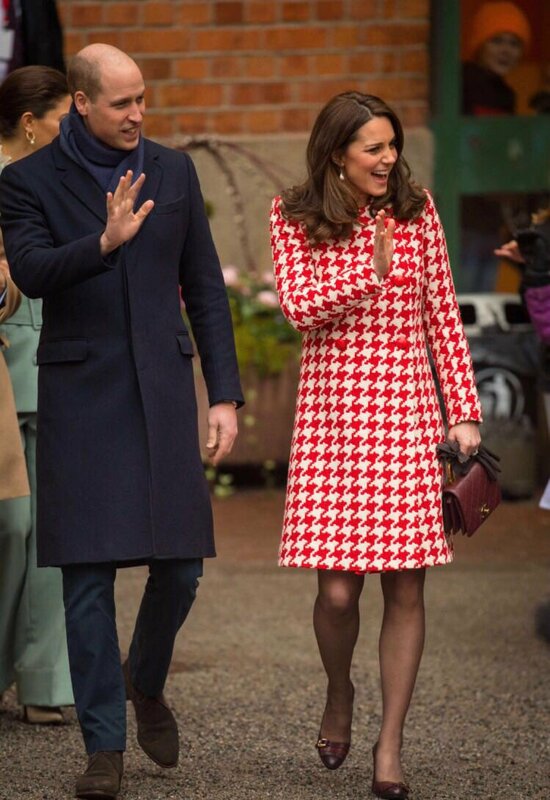 Kate wore a red Catherine Walker coat dress. She had changed into a Roksanda Ilincic, paired with beige Jimmy Choo pumps upon their arrival in the States. LA saw the Duchess in a lilac Alexander McQueen gown at the Belasco Theater for BAFTA Brits to Watch event. She was also seen in a navy and white outfit from Whistles on their final day in LA where they visited Skid Row. Kate also wore her Chinoiserie-print Jenny Packham dress, Kiki McDonough earrings for a polo match in Santa Barbara where William took part. She presented the winning trophy. She wore a green Diane von Furstenburg “Maja” dress with an animal skin purse by the same brand for a private reception British Consul-General’s residence.